Cell phones go with us everywhere these days, don't they? Also, a lot of people use them not only for phone calls, but also for playing games, reading ebooks, surfing the web, watching movies, and more. Sometimes, however, it's best to have some sort of mount to attach your phone to so that you can use your phone while doing other things as well. Also, it can be a useful thing to have so that your hands don't get tired. 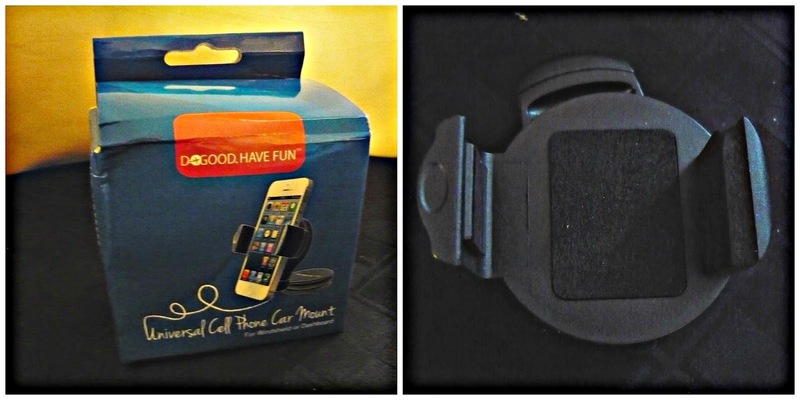 Check out this Universal Cell Phone Car Mount from Do Good Have Fun. This universal cell phone car mount is very cool. Both my husband and I own ZTE smartphones, different models and sizes and both phones easily fit onto this mount very well. It's very easy to attach the mount onto a dashboard or windshield and then simply twist the base to lock it on. Once it is locked on, it stays in place until you choose to remove it. It really does stay very firmly attached and is very stable. Both my husband and I were able to attach our phones to the mount in a matter of seconds. Also, removing the phones was just as simple. Sticking it on the windshield is especially great when using the GPS app on our phones or to see whoever is calling right away. My husband doesn't always use this mobile phone car mount on the windshield. Sometimes he likes to stand it up where he can see it so it just keeps it on the mount and sticks it in one of the cup holders. It elevates it just enough so that he can see it and reach it easily. Also what we love is that if you have a textured surface that you want to stick it on, then you can use the extra adhesive disc that comes along with it to hold it in place. This mount can be used for other things too. You see, I use my phone often when I'm trying out new recipes in the kitchen. I don't always like to print out the recipe nor do I always love carrying my laptop downstairs. 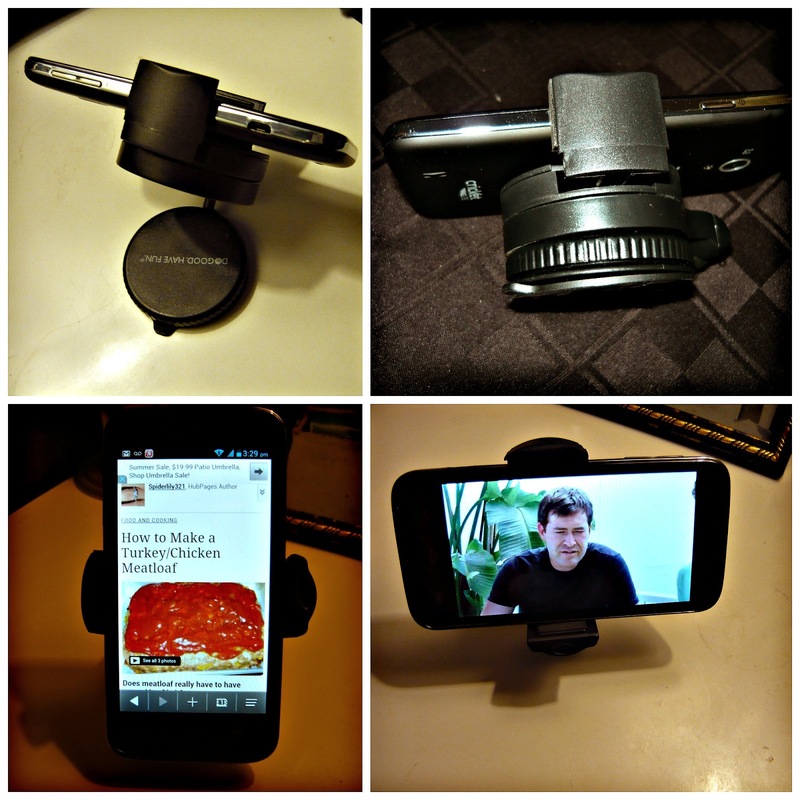 All I have to do is attach the mount to my kitchen counter securely and then stick my phone into the mount! Makes it so much easier to read what's on my phone while cooking. Also, I've used it at night and on trips to hold my phone up while reading on my Kindle app on my phone and also to watch movies and shows on Netflix. You can use it on trips, in the bathroom to watch shows while taking a relaxing bath, while you're laying in bed, in the car, at appointments, on your desk, or wherever you want to stick it! Convenient, right? Very much so! My husband and I think it's awesome. Purchase Your Own Versatile Universal Car Mount on Amazon!